Cinionic, the new Barco cinema joint venture, and digital cinema integrator Bardan Cinema, are supporting Cacinesa’s desire to offer guests the best moviegoing experience at Cacinesa Mundo Plaza while helping the exhibitor streamline operations across the theater with 100 percent Barco laser projector. Cinionic, as Barco, and Bardan have collaborated for many years on the latest cinema technologies designed to deliver superior image quality and operational efficiencies for exhibitors in Latin America and the Southeast United States. Cacinesa is the latest multiplex to feature Barco Smart Laser projectors in every auditorium. 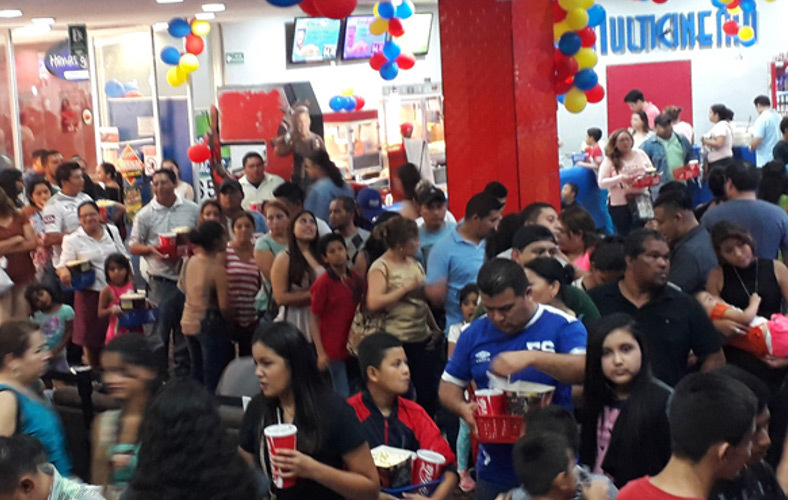 As the El Salvador cinema market matures, Cacinesa understands the value that an all-laser multiplex can bring to their bottom line as a prime market differentiator. “We have always invested in the latest cinema technologies to bring the best movie entertainment quality to El Salvador. With these ultra-high quality Barco laser projectors and support from Bardan, we are now able to offer the best movie presentation on par with the world’s largest cinema circuits.” Francisco Enrique Urdampilleta Ayala, CEO of Cacinesa. Cinionic and Bardan are happy to support Cacinesa’s quest to become the top movie theater in El Salvador and the Central American region by providing the best laser projectors for every auditorium in their theater. The companies have partnered frequently to offer comprehensive customer support for cinema deployments: site planning, projector selection, sales and installation, and hands-on technical assistance. Installation and advanced service certification training is also available in Sao Paulo, Brazil; Mexico City, Mexico; and Sacramento, California.